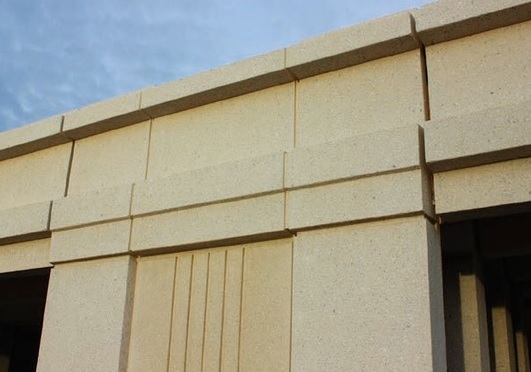 Smith-Midland Corporation in Midland, Virginia was selected as the project’s precast concrete producer. They are a member of PCI Mid-Atlantic, a chapter of the Precast/Prestressed Concrete Institute. The Towne Centre of Cliffside Park in Cliffside Park, New Jersey. Matthew Smith, Vice President of Sales and Marketing for Smith-Midland said the company was called on to manufacture nearly 800 M-shaped architectural precast concrete panels that would be used to create a lightweight exterior for the building. A unique mixed-use project in New Jersey is being recognized for its innovative look, thanks in part to the use of precast concrete on the building’s exterior. 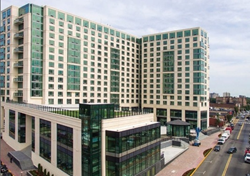 The Towne Centre of Cliffside Park is a $140 million, 13-story luxury apartment building featuring a unique blend of retail and office space, underground parking and a 190-space municipal parking lot. The project also features a one-acre plaza with a reflecting pool and outdoor seating. Smith-Midland Corporation, based out of Midland, Virginia, was selected as the project’s precast concrete producer. Smith-Midland is a member of PCI Mid-Atlantic, a chapter of the Precast/Prestressed Concrete Institute (PCI). 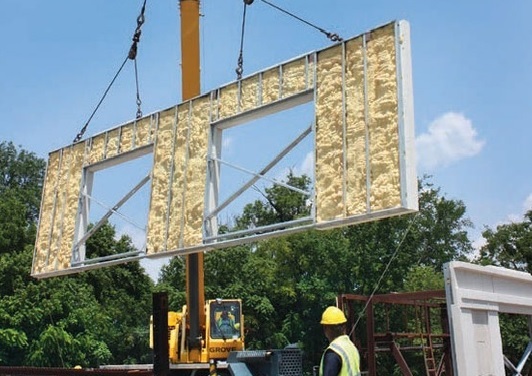 Matthew Smith, Vice President of Sales and Marketing for Smith-Midland said their company was called on to manufacture nearly 800 M-shaped architectural precast panels that would be used to create a lightweight exterior for the building. Working closely with Virgona & Virgona Architects, Smith-Midland developed the design for the exterior cladding. Smith said the precast aspect of the project is unique due to the shape of the panels. Precast Concrete Construction at The Towne Centre of Cliffside Park. Precast Concrete Construction at The Towne Centre of Cliffside Park.